Fantastic doctor. Very experienced and thorough in his evaluations. I highly recommend seeing Dr. Li. I have been seeing Dr. Li for a long time and he always listens to my symptoms and makes proactive decisions. Dr. Huamin Henry Li is board-certified in allergy and immunology. He received his Allergy and Clinical Immunology training from the Johns Hopkins Asthma and Allergy Center in Baltimore, MD. 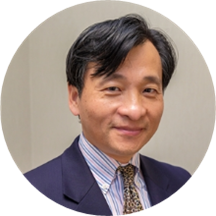 Dr. Li has been a part-time instructor of medicine at the Johns Hopkins Hospital since 2001, after he finished his fellowship training and spent one year in a private allergy clinic. Dr. Huamin Henry Li received his PhD in Medical Microbiology and Immunology at the University of Texas Medical Branch at Galveston, Texas – where he was awarded the McLaughlin Fellowship Award for excellence in research. Dr. Li has published a number of papers in allergy and immunology, peer-reviewed journals, book chapters, and has participated in many clinical trials. He has also served as editor of the current report of asthma and allergy. Dr. Li is also board-certified in Internal Medicine. His Internal Medicine internship and residency were at the Saint Barnabas Medical Center – an affiliate of the Mount Sinai School of Medicine – where he was recognized with awards for his clinical excellence. Dr. Huamin Henry Li is from China and received his medical degree from the Tianjin Medical College in 1988. He is currently a Fellow of the American Academy of Asthma, Allergy & Immunology (AAAAI) and the American College of Asthma, Allergy and Immunology (ACAAI). He is also a member of the European College of Asthma, Allergy, and Immunology (ECAAI); Greater Washington Asthma, Allergy, and Immunology Society; and the American Medical Association (AMA). He serves as an executive board member of the Chinese-American Medical Society Mid-Atlantic Chapter. His focus is asthma, rhinitis, hereditary angiodema, allergy, and patient education. Dr. Li has always been understanding of my problems with sinus infections and the repercussions. I have never been served on time in most doctors' appointments. I got into the patient room on my exact appointment time. Amazing!!!!! if you prepared few little things like new patient information and show up 10 minutes before your appointmentbecause even though you completed everything online prior to your visit still need few minutes at the front desk to check in you will not waste time. Dr. Li came to the room right way. No waiting, clear guidance throughout the visit and efficient good service. I will be back in two weeks to follow up. I was out of the office in 30 minutes. Very Satisfying Experience. This is my first visit in this doctor's office. I strongly hope that my problem will be solved and I will get better. I have follow up appointment in 2 weeks. He was very straight forward and reassuring. Didn't order more tests than I needed. Very pleasant manor. We also talked about China where I had worked. Loved Dr Li, his office and his staff just, wasn't happy with paying to park and the garage is very confusing..
Dr. Li was kind and listened and his treatment plan was effective. I now have a new allergist for my family. I have been seeing Dr. Li for 10 years. He is always very thorough and he listens. Excellent doc! Dr. Li is a fantastic doctor. He was very good at listening to me and recommending a course of treatment that was logical, reasonable, and best of all, cost-effective. I am so glad I found his office and recommend him toanyone who has questions or allergy concerns. He's an excellent physician and truly cares about resolving your concerns as a patient. Great experience with Dr. Li. Took time to talk to me, ask about what was happening, and then gave a treatment which I felt was very reasonable. Would like to come back again in the future if necessary. Dr. Li was truly tuned in to what I was saying. Described evrything in a way I could understand. It would not be a "one shot visit." If plan A didn't work, I am to call and onto plan B. Very thorough, outstanding staff from nurses to receptionist which is unusual that everyone is so professional and courteous! Dr. Li took the time to understand my entire medical history before jumping into testing. He has great bedside mannerand will be transferring my entire family over to this practice. Class act!